Avneet has an older sister and a younger brother. Following some unfortunate choices made by her father, Avneet’s family lost all sources of income when Avneet was just 10 years old. Following this, Avneet’s mother moved to the city with her children and since then has worked tirelessly to provide for her family. 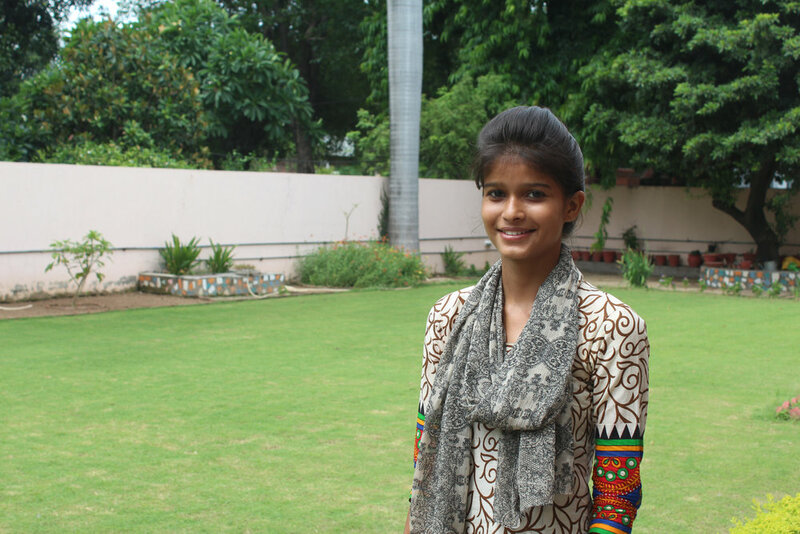 Avneet’s older sister graduated high school and is currently pursuing a bachelor of arts through correspondence. She manages the household and tutors neighboring students for additional income. Avneet is currently enrolled in her first year of college, but her heart is not in the program. She’s passionate about beauty, culture and hair and wants to pursue something more related to her interests. Avneet joined Sikhya in the summer of 2016 and she’s working on a plan with her mentor and mother to negotiate whether she stays in school and completes her degree while pursuing beauty courses on the side, or if she should drop out of school and pursue beauty courses full-time. Avneet currently works in a beauty salon part-time and the ability to make and have spending money is very important to her.